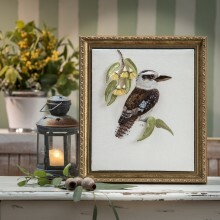 The Iconic Australian Kookaburra comes to life with this beautiful stitchery designed by Jan Babbage for Rajmahal. Combining Rajmahal Art Silk Threads with the thread painting technique, the intricate detail of the feathers makes your work come alive. A fantastic project to frame and hang on your wall, you will be inspired every time you look at it. 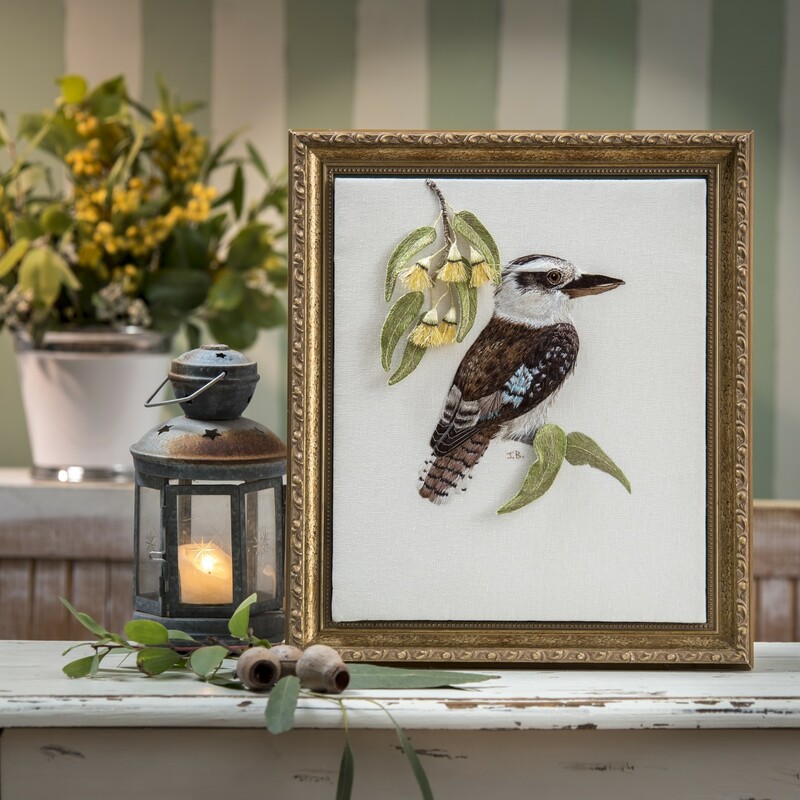 Click the button below to add the Kookaburra to your wish list.